Colorado Condo, Home Insurance in Las Animas, Lamar & La Junta Colorado - First Insurance Services, Inc. Even though Condo owners pay a mortgage and make their own repairs like any traditional homeowner would, they share some similar circumstances similar to those of renters. This is because their home is attached to other condo owner's homes and they share a building or complex. This creates some unique circumstances and risks. 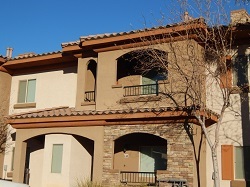 First Insurance Services, Inc. can help build a Condo Owners policy that fits the needs of your Colorado condo. At First Insurance Services, Inc., we have the experience and insurance companies to make sure you have all of what's important to keep you protected. We service the Las Animas, Colorado including the Fowler, Holly, Ordway, Rocky Ford, and Wiley areas.